Perfect bound books through print-on-demand is made possible with digital printing. If you have books that needed to be printed in response, print on demand is the perfect solution. No matter how many books are ordered, with print on demand authors and publishers can print the exact number needed for distribution, no matter the quantity and they will be perfectly bound. Through digital printing print as many books as are needed with and make it profitable with print on demand. For new authors, budget is almost always an issue. Print on demand is the perfect option for authors who have tight cash flow but want perfect bound books. At the Country Press, book are kept in a digital database. This is beneficial for publishers because they don’t have to keep books in inventory and this eliminates the waste of publishing books that may not be sold. Print on demand is also perfect for self-publishers who are interested in publishing their books more efficiently. If you need quick turnaround or a book proof, print on demand is the perfect choice for book printing. 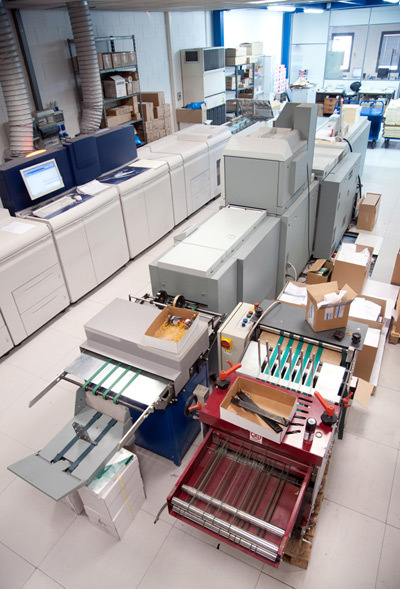 With digital printing, we can print your book, hold it in our warehouse, and ship it later when you need it. When demand for books grow, short run book printing services is the right option for book printing. For more information on Print on Demand contact Country Press. Very thick books cannot be bound securely by stapling or fastened using saddle-stitch. But there is a perfect bound book method that works perfectly for book binding for projects with up to 700 printed pages. Commonly used for thick textbooks, brochures and magazines, a perfect binding uses strong but flexible adhesives to bind pages together along the spine for a smooth and stylish output. This adhesive is more tolerant to varying temperatures and is non-brittle. This means thicker books can open flatter without breaking the spine which causes pages to fall out. This binding method requires 7mm safe area at the edge of the spine of the first and last page including inside front and back cover page. The cover is then bent 7mm from the spine to make a joint that secures the glued border. Perfect bound books present a professional look perfect for displays and stacking. Additionally, this flexible adhesive binding is affordable. For publishing a travel or fashion magazine or a glossy textbook or manual, contact Country Press Printing. With perfect book binding, for all types of manuscripts, book projects can be delivered in no time at the best price. For publishing a magazine that carries information about monthly updates, perfectly bound book printing is the best method to create this type of periodical. Perfect binding offers great value for your money with high quality printing and binding output. The pages and cover with this binding method are fastened together at the spine using tough but flexible adhesives. Perfect bound books are great for stacking and displays. It is also an economical option for creating magazine style books with a professional appearance. However, perfect bound book printing is ideal for all different types of publications. Additionally, they are a very affordable option, perfect bound books can be completed in a relatively short time with lesser runs. This means authors can receive multiple copies in just a few days right in their doorstep. For your next magazine-style project, contact Country Press Printing, Inc.